Can you remember your first date? Were you excited, happy, nervous, was it memorable or miserable? 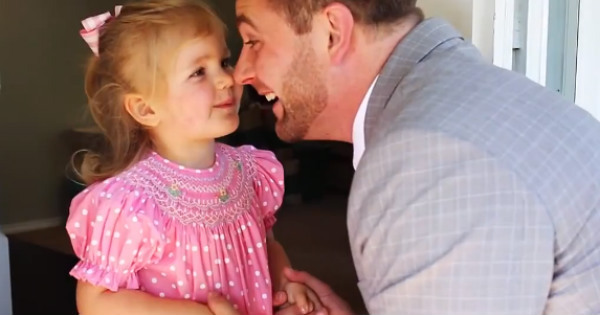 One little girl has had a first date she’ll never forget – all thanks to her very sweet dad. This emotional Facebook video shows dad Aaron Dickson nervously preparing for a first date. Then, dapper in a suit, he leaves the house, turns back around and knocks on the front door – to be greeted by his very excited daughter, Analynee, also beautifully dressed up for her special day. Take a look at the wonderful afternoon he prepared for her – no stone left unturned for his precious girl. If only all first dates could be as perfect as this!